Last week, Dr. Hill was my guest blogger and wrote about our journey to zero harm. This week, my blog editor followed up with Dr. Kevin Shea, Dr. Howard King, and the team of folks working on one aspect of zero harm: Project Zero, the St. Luke’s team working to eliminate surgical site infections related to joint replacement surgery. Why joint replacements? Because a post-operative infection involving the prosthesis results in significant disability and significant costs, and so prevention helps us achieve two of our Triple Aim goals – better care and lower costs. It’s a St. Luke’s winning streak that no one wants to talk about. Project Zero, the very ambitious effort launched by a handful of St. Luke’s clinicians a few years ago to eliminate surgical site infections, has, in fact, reached zero. And for a lead architect of the effort, that’s precisely the time to double down on the diligence. St. Luke’s Boise and Meridian locations have gone more than six months without a surgical site infection in cases of total hip replacements, and more than three months without such infections for total knee replacements. Dr. Kevin Shea and the Project Zero team have methodically moved through the factors involved in surgical site infection to remove or minimize risks. The implications, in terms of pain, suffering, and costs avoided, quality of care elevated, and outcomes improved, are huge. But Dr. Kevin Shea, an orthopedic surgeon co-leading the zero-infection work with Dr. Howard King, would rather not declare victory, instead emphasizing how the progress has come about. When Project Zero was launched in April 2011, the surgical site infection rate was approximately 1.1 percent, which is considered reasonable by national standards; some hospitals have infection rates above 2 percent. In the 18-month period starting in January 2011, the group’s efforts reduced surgical site infections for ortho/neuro by more than half. They were able to sustain rates at or below 0.5 percent in 2012, and began eyeing further reduction of another 50 percent by June of 2013. Project Zero then was slowed by several infections, which is why Dr. Shea is cautious now. He’s not cautious, however, in listing the lessons the group has learned and the factors he thinks have made a difference. Lesson 1: Changing a culture is hard work, and very different work than most physicians anticipate when they enter practice. Making the systematic, end-to-end changes in the surgical process, which has involved everything from air flow through operating rooms to the number of times doors open during a case, to apparel, has entailed enormous amounts of time spent communicating and building consensus in new ways and among many groups and individuals. And while no one thing has led to the progress, several factors have been very important, not least because they help to enforce the culture change. St. Luke’s work with WhiteCloud Analytics has made it possible to identify those patients who need special preparations before surgery and concerted attention after their procedures, and Dr. Betsy Olberding and the perioperative medicine team play an increasingly important role in making sure the more complicated patients are in the best shape possible for their surgeries. Dr. Shea credits this approach, heading trouble off before it happens, with helping Project Zero toward its goals and making good on St. Luke’s intention of a continuum of care. 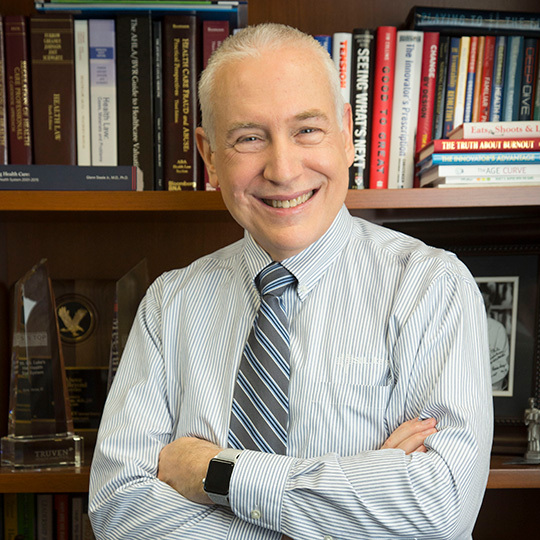 Dr. Tom Coffman of Infectious Disease also has had a significant impact on the program, reviewing the relevant literature and providing recommendations for practical, evidence-based change. Jerrie Hammons and Nikki Grae of the public health/infection control staff have provided critical data analytics to help the Project Zero group identify opportunities for improvement. The administrative support for the work has been considerable, including oversight from West Region Chief Executive Officer Kathy Moore and support from Mindy Jennings, a continuous improvement coach with Performance Excellence. Anesthesia support from Drs. Eric Deutsch, Jeff Eidson, Jim Voulelis, and Rob Centeno similarly has been key. And a surgical attire policy, which took effect near the beginning of May, has built cohesion, expedited communication, and sent a message that St. Luke’s is taking very seriously the charge of doing everything it can to reduce infection rates. Nursing and staff leaders, including Melissa Clapp, Ellen Bencken, Heather LaBour, Melissa Winters, and Patrick Gray, have been instrumental in educating and communicating about the new policies. Violations are being enforced, and there are consequences when the special scrubs aren’t worn appropriately. That may not be the main message sent by the policy, however. “I’ve heard things like, ‘We should have done this 10 years ago,’” Dr. Shea said. “It’s been very encouraging to have that confirmation. The OR staff support for this policy has been outstanding, and we have had great staff leadership from Matt Hyde, Lisa Margarit, Tim Foulk and others. Project Zero will focus next on work habits and behaviors in the OR and standardizing the best practices. And Dr. Shea doesn’t think there’s a moment to waste. Because while Project Zero is seeing improvements, and changes like the patient pre-op clinic, enhanced use of data, and the surgical attire are supporting the progress, health trends including obesity and diabetes mean more patients are more complicated, and thus more vulnerable to surgery-related infection. “We are fighting an uphill battle,” he said. True zero? None at all?